This is an updated part number for the 4 piston caliper with two different sized pistons. 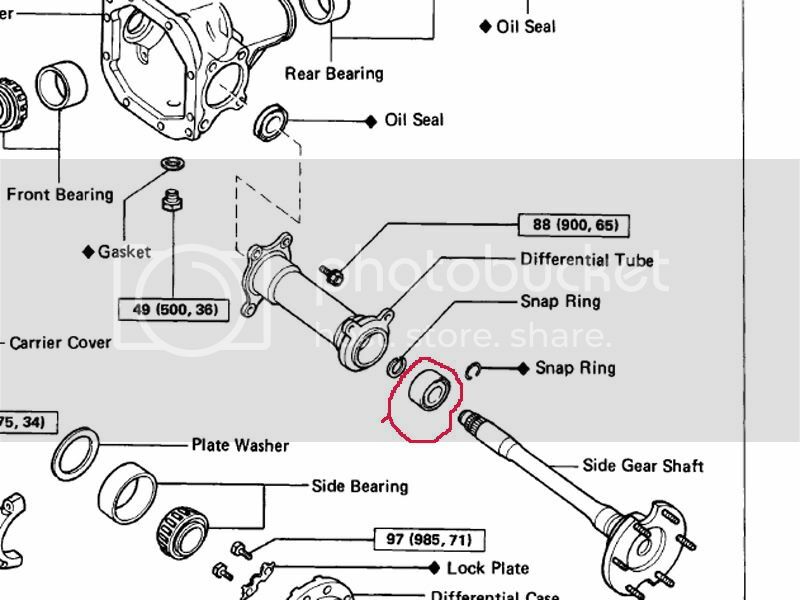 The smaller piston seals are not available in the aftermarket (33.93). This kit includes all 8 piston bore seals, boots, wire retainers and bleeder caps. Pistons are available at Napa, Car Quest and O'Reillys much cheaper and work fine. Kit cost is $40 w/tax. Last edited by kewlynx; 07/15/08 08:03 AM. 3	90360-06004	BALL, OUTPUT SHAFT	SB1/4	1/4"
Anybody know what the p/n is for the backing plate on the rear axle of a '87 22TRE, 5-speed? AND....would this be the same part for all the 4 & 6 cylinder models, '86-89? '88 EFI Xtracab, 32 x 11.50 Buckshots, AZ bed, Turbo drivetrain. This is the Toyota Part number for the bearing and dust cover that gets pressed on the side shaft of a non-ADD IFS front diff. but on my paperwork it says 35031 gage assy oil pr. i thought i was gona get the wrong part. but it all worked out. 55 bucks!!! rip off! Speedometer cable, 88 4runner V6, 5 speed. 88 V6 4Runner, 3.4 swap, SAS, front E locker, rear EZ locker, dual cases 2.28/4.7, 63" Chev rears, rears up front etc. 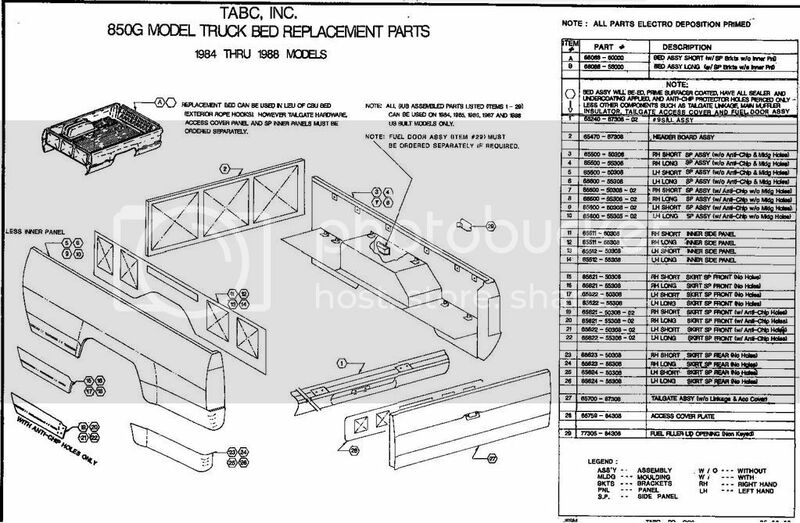 84-88 bed part numbers. if you cannot make out the number please ask. Last edited by kewlynx; 04/21/09 06:31 AM. I need the LH front lower side panel (19-22) for my XtraCab bed.